The Jette Parker Young Artists will continue to give recitals in venues outside of the Royal Opera House throughout the Open Up building period. We also hope to announce a venue close to the ROH to resume the regular Monday lunchtime recitals for the 2016/17 Season following the annual Meet the Young Artists Week. 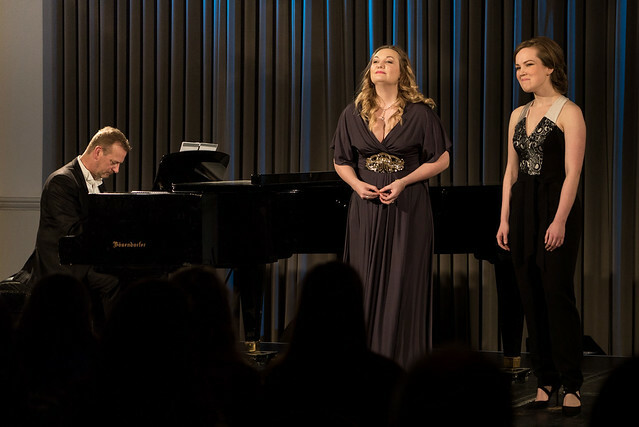 The recitals are an important part of the Young Artist programme offering singers the opportunity to perform in front of a live audience in an intimate setting. 10 February - Samuel Dale Johnson and David Shipley accompanied by David Gowland on piano. 30 March - Jennifer Davis and Emily Edmonds accompanied by David Gowland on piano. 13 April - Lauren Fagan and Yuriy Yurchuk accompanied by David Gowland on piano. In addition, the next annual afternoon recital at Highgate School, hosted by Robert Lloyd, will be held on Sunday 20 March 2016. Tickets and information for the Highgate School recital will be available from 18 February. Tickets for the Blackheath Halls recitals are available here.